It’s been 13 years since Joe Strummer passed away. 13 long years for family and friends, and fans around the world, 13 long years missing his wisdom, his words and of course his music. We at The Joe Strummer Foundation work hard every day to carry on Joe’s ideals of what he believed in: to encourage kids to pick up an instrument and just play it, write songs about the world around them & tell their story, because we all have a story tell, to give others encouragement and support when they might not think there is any to have, not to judge but embrace and to give a platform for aspiring musicians and projects around the world that create empowerment through music. We would like to thank everybody for your ongoing support this year we have helped to raise thousands of £s which has been put back in to helping aspiring musicians get in the studio, supply funding & grants for music projects here in the UK and around the world, financial and awareness support to our recording studio and music room in Sierra Leone and Malawi respectively and continue to provide a platform for all the bands we support, to help them get their music to a wider audience. 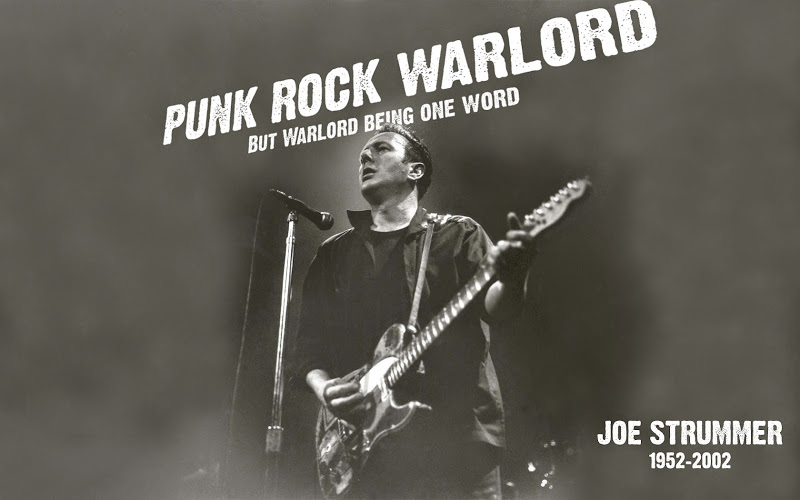 We know that today Joe would be supporting and believing in these initiatives and it is with this vision that we try to carry on his legacy one day at a time – after all, as Joe Strummer said: “without people, you’re nothing”.